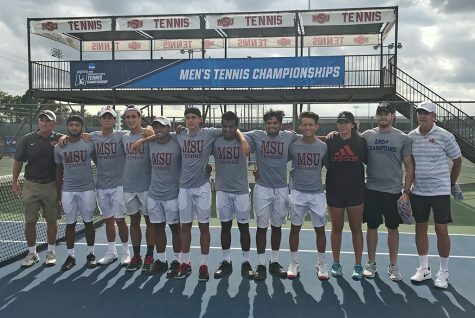 This is the sixth time both men’s and women’s tennis teams will move onto the national championship. The women’s team will be traveling to Surprise, Arizona to face Hawaii Pacific University on May 8. The men’s team will go to the national championship in Surprise, Arizona from May 9—12. “We are feeling really good going into nationals, regionals was a good test for us emotionally. To make sure we are strong and ready to fight. We just need to work on staying healthy and being in the right mindset,” Ashley Ramirez, marketing sophomore, said. The men’s tennis team took down Metro-State in the NCAA II Regional game on Monday, April 30. The final score was 5-1, winning two out of three doubles and three out of six singles matches. The team had reached the 5-1 score toward the end of the continuing three matches, which left them unfinished. The doubles matches ended with only one loss. Vasudev Vijayaraman, computer science senior, and Denney Norrie, business sophomore, won their match 8-5. Dillon Pineda, biology/pre-med junior, and McCaig, were the first ones to finish their match but did not win. Alex Martinez-Roca, mechanical engineering freshman, and Angel Palacios, business management sophomore, finished their match last with a score of 8-2 whiched help the team win the doubles section of the game. “I feel good, and even though I didn’t finish, I know the guys are doing their best. It’s a great win before we go to nationals, we are all looking forward to it. There are no words to describe it right now, it’s an amazing feeling,” Pineda said. The team won three singles matches, leaving three unfinished. Palacios, Pineda, and Vijayaraman were not able to finish their matches, but they were all ahead of their competitor. Jean Muniz, undecided freshman, and Martinez-Roca won their singles matches, and were the first to finish. McCaig finished his singles match last completing the win for the team and gaining the championship. “The opportunity to play against the best teams in the country is great, and I think these student athletes worked extremely hard all year long. They have earned the right to go to nationals, and that’s what I look forward to. 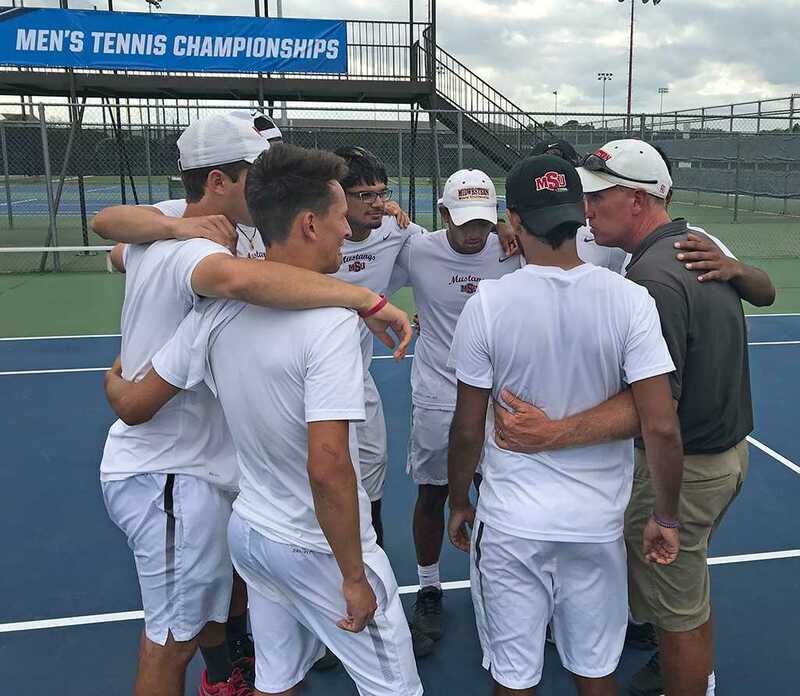 Them going playing at nationals and believing they should be there, and maybe going farther than have before,” Head coach Scott Linn said.